Language Builder App? Tell Me More!! Don't keep this a secret ........... Please share! 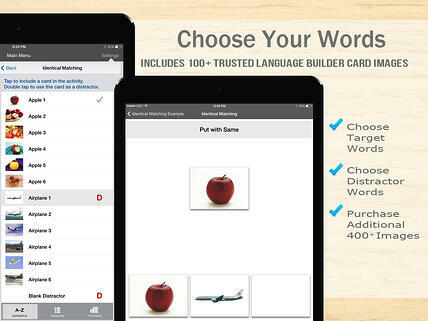 The Language Builder® from Stages App is now available on the App store. 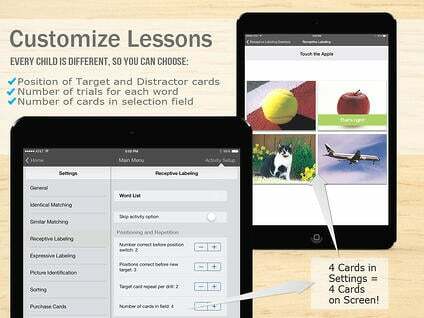 The app includes 6 ABA-based activities with customizable presentations. All of the images in the Language Builder from Stages APP are taken directly from the top selling Language Builder Picture Cards, which you have come to rely on daily. 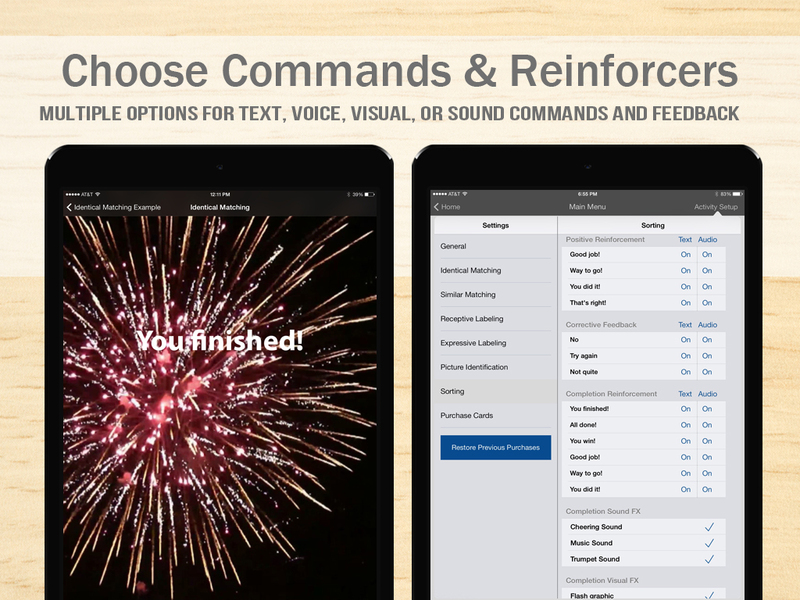 Highly customizable settings allow you to choose from multiple speech and text commands, card positions, prompts and prompt fading, target and distractor words, reinforcers, and more. Use the app to teach Identical Matching, Similar Matching, Receptive Labeling, Expressive Labeling, Picture Identification and Sorting! Language Builder from Stages lets you create unlimited student accounts, save settings and lessons for students, and generate detailed reports to track student progress. The Basic Language Builder® from Stages app includes 90 Basic Stage images, with 500+ words available for purchase by category. Language Builder Pro comes complete with all 600+ words, including Animals, Foods, Transportation, Furniture, Clothing, Toys, Everyday Objects, Insects, Sea Life, Musical Instruments, Tools, Body Parts, Safety Sign, Shapes and Colors. The Pro Version of the app also allows you to add your own flascards for use in the Receptive Labeling, Expressive Labeling, Picture Identification and Sorting Drills. What a great way to include images of family members, home or classroom specific items, or places in the community that your student will visit. 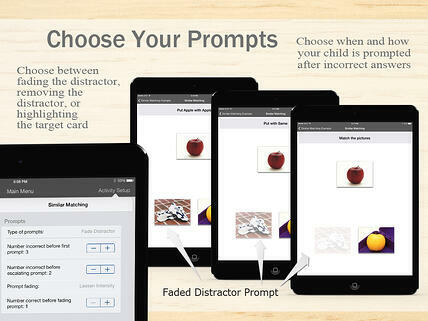 Many families and teachers use this feature to add verb or emotion cards to the app! 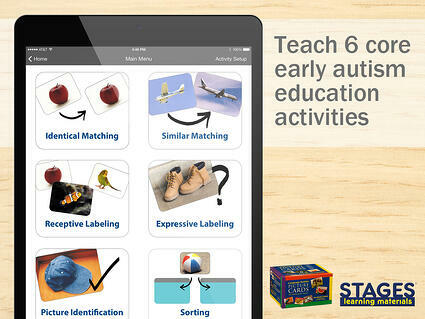 This is an excellent tool for any home, school or clinic based autism education program!